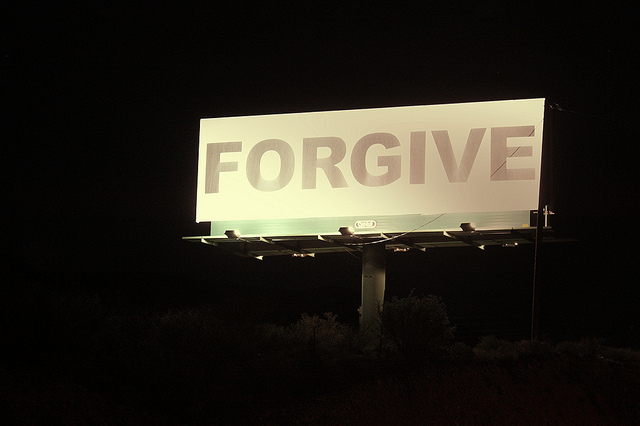 To forgive is divine, but is this something that CIOs should be doing? Ah, the process of getting older. Each one of us is doing this every day and, with a little luck, we really don’t spent all that much time thinking about it. However, with increasing age comes more time for us to think about all of the things that have happened to us during our lives. We start to review our lives and there’s a very good chance we might not like everything that we see. What’s the person with the CIO job to do? As we spend more and more time thinking about what has gone on during our lives as we become older, we are naturally going to be drawn to both the good things and the bad things. There’s no problem thinking about all the good things that have happened to you – spend as much time thinking about them as you want! However, it’s the bad things that can start to eat away at us. Assuming that nobody has forgiven anyone else, then as we think about the bad things that either have been done to us or that we have done to others, we’ll replay them over and over in our minds. This fixation on wrongs is going to generate feelings of anger or remorse in us. The end result of these feelings will either be bitterness on our part or even poor health. This is an area that the researchers have spent a lot of time studying. What they have discovered is that the more that we dwell on wrongs that have occurred in our lives, the more lonely and isolated we are going to make ourselves. The results of this is going to be that we’re going to experience increased health problems and, ultimately a higher mortality rate. Spending time dwelling on the wrongs that have been done to us and that we’ve done to others is considered to be a form of cutting off the air to your emotional self. The end result will be that resentment and bottled up anger will start to have an impact on your overall health. The physical effects of not having forgiveness in your live can range from depression, anxiety, higher blood pressure, and a greater risk of having a heart attack. The secret to making this all go away is to allow forgiveness to enter your life. Forgiveness allows you to spend your time focusing on relationships and more positive thoughts. Just Exactly How Do You Forgive? You would think that this forgiveness thing would be the same for everyone; however, that’s where you would be wrong. It turns out that forgiving is more beneficial for women than for men. As always, the specific situation that forgiveness is being given in can have an impact on this. When women forgive others, it has a positive impact on their health. It can help to prevent depression. This benefit occurred even when women feel as though they are not being forgiven by the other person. This was in contrast with men who ended up feeling worse when they forgave someone, but did not feel as though that person had forgiven them. Although it sure sounds like seeking and giving forgiveness would be a good thing to do for both parties, as we are all too painfully aware this does not always happen. If the event that caused the problem was severe or in the case that the other party shows no remorse. You will not be able to forgive the other party if they have not at least tried to make meaningful amends or if they simply are not sorry. Unfortunately, if you find yourself in a situation like this, you can be left feeling both hatred towards the other party and hurting. If you find yourself in this kind of situation, then you can take a different approach. An alternative way to help you get through this situation is to use a different approach called “acceptance”. When you use acceptance, you decide to move on from what happened on your own terms. You do need to recognize the size of the transgression, but at the same time you have to decide to no longer be obsessed by the unfairness of what happened. You are in control and so this means that you get to choose the level of relationship that you want to have with the offender. To accomplish this, all it takes is you – the other party does not have to participate. As the person in the CIO position, you make a lot of decisions regarding the importance of information technology, you interact with a lot of people, and as you get older you may end up having a lot of regrets. As you dwell on the things that have happened in your life, you may find yourself going over and over the times that you were wronged or when you wronged someone. Clearly, this is not a good thing. Thinking about injustices that have either been done to you or that you’ve done will just eat at you. They can make you bitter and they can have a negative impact on your health. A much better strategy is to try to forgive someone who has wronged you. For women, this can have positive health benefits even if they other person is not sorry. For men, it will have negative health benefits if the other person is not sorry. If the other person is not willing to forgive you, then you may want to use acceptance to define how you want to feel about the event and what type of relationship you want to have with the person no matter how they feel about you. We may not think about forgiveness every day, but it turns out that it is a powerful force. If we neglect those events in our life that are causing us to feel badly, then they will wear at us and will have a negative impact on our lives. Using forgiveness, or at least acceptance, can allow us to once again take charge of our lives and feel as though we are again in control of our lives. Question For You: If someone else asks you for forgiveness and you don’t feel like forgiving them, what should you do? As the person with the CIO job, you have a great deal of power that comes with your assignment dealing with importance of information technology. The big question that you always need to be dealing with is just exactly how should you go about using this power? A great example of this has to do with the wave of so called “wearables” that are only now starting to enter the workplace. These clever little computers that people adorn their bodies with are neat, but they bring with them some sticky questions about just exactly what you can do with all of that data.